A housekeeper moves between rooms at the park inn at Fall Creek Falls State Park on Wednesday, Nov. 2, 2016, in Spencer, Tenn. A plan to demolish the park's existing inn and replace it with a new facility that is privately run has apparently been renewed, and the process would take more than 2 years which would displace the more than 60 current employees. $23.07 million, Paris Landing State Park, Henry County: Funds for the demolition of existing inn and the construction of a new inn to include guest rooms, conference and meeting space, and restaurant. $11.68 million, Pickwick Landing State Park, Hardin County: Funds for the enhancement of state park hospitality operations. Funds support renovations of the inn, conference center, kitchen, and restaurant. Project includes the replacement of mechanical, plumbing, and electrical systems. Additionally, funds support repairs to the parking lots and swimming facilities. $10.05 million, Henry Horton State Park, Marshall County: Funds for the enhancement of state park hospitality operations. Funds support the demolition of the inn, visitor center, and restaurant, and the construction of a new visitor center and restaurant. Additionally, funds support road reconfiguration and required site work. $4.29 million, Rocky Fork State Park, Unicoi County: Funds for the construction of a visitor center, maintenance building, two picnic shelters, driveway, and pedestrian bridge. *$3.3 million for trail and bridge replacements: Funds for the replacement, improvement, and construction of trails and bridges at Fall Creek Falls, Justin P. Wilson Cumberland Trail, Fort Pillow, and Burgess Falls State Parks. 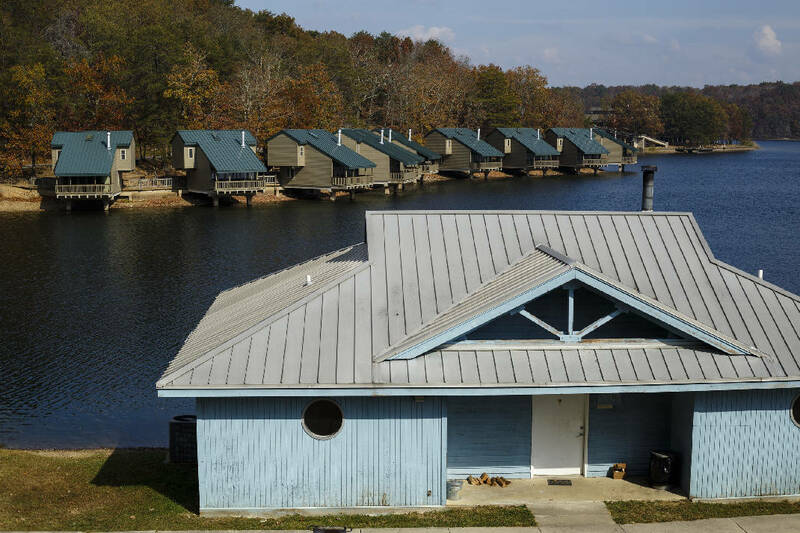 $2 million, Meeman-Shelby Forest State Park, Shelby County: Funds for renovations of existing facilities the park’s group camp, including roof replacement, exterior and interior repairs, plumbing and electrical systems upgrades, and structural stabilization. $1.96 million, Standing Stone State Park, Overton County: Funds for rehabilitation of historic Works Progress Administration cabins, in accordance with National Historic Register standards. $1.37 million, Harrison Bay State Park, Hamilton County: Funds for renovations to the floating fuel pier system, fuel dispensers and controls, restrooms, and all related work. Project includes upgrades and renovations to the marina water and electrical services. Amid an ongoing effort to privatize hospitality services at Fall Creek Falls State Park, some state officials are not yet publicly committing to pursue similar plans at other state parks. But with Gov. Bill Haslam's proposed 2017-18 budget featuring an unprecedented $58.8 million in capital spending at state parks across Tennessee, Fall Creek Falls looks poised to be just the first park to have a private vendor take over management of its hotel, conference center, restaurant and golf course from state employees. Haslam's proposed budget, released Jan. 30, allots a combined $44.8 million for large-scale renovations to facilities at three state parks, mirroring a similar investment at Fall Creek Falls from last year's budget that preceded the privatization effort there. "At this time, there are no active plans in place" in regards to further privatization efforts at those three parks, Paris Landing, Pickwick Landing and Henry Horton, said a Tennessee Department of Environment and Conservation spokesperson in an email Friday. Elected leaders from those park areas polled this week — all in Middle or West Tennessee — also said they have not been told if the state plans to pursue privatization at their parks. But each were familiar with the concept after a 2015 attempt to outsource hospitality operations at 11 state parks that failed because of the facilities' poor conditions. "To answer on anticipating privatization, I thought Atlanta would win the Super Bowl, the Vols would lose to Georgia, the Warriors would be NBA champs and Hillary Clinton would be the president," state Sen. John Stevens, R-Huntingdon, wrote in an email. "Obviously, I'm no good at prognostications." Stevens' district includes Henry County's Paris Landing State Park, which is set to receive $23.07 million for the demolition of its inn and construction of a new inn that would include conference space and a restaurant. He said he supports rebuilding the inn and is thankful for the administration's proposed investment, adding that locals are interested in having input in the facility's design. "I have spoken to our local chamber and there is support in the community for the new building coupled with concern, privatization being one," Stevens said. It was not stated in the 2016-17 budget that the state planned to pursue privatization at Fall Creek Falls, although the budget did include an eye-popping $30.4 million for the enhancement of hospitality operations at Fall Creek Falls and Montgomery Bell State Parks. The Tennessee State Employees Association has contested that some legislators did not realize the money would be spent to entice a private company to Fall Creek Falls. The state has not sought a vendor for Montgomery Bell to this point. TSEA is pushing for hearings to be held on the issue during this year's legislative session. Opponents of privatization at state parks point to the inevitable loss of state jobs in economically distressed areas and an increase in room rates that they say can price regular citizens out of parks that were never intended to be profit centers. A March 2016 report prepared for the state of Tennessee by Goodwyn Mills & Cawood Inc. and IDM Hospitality recommended a new "upscale" inn designed in a modern, rustic style and offering expansive views of the lake at Fall Creek Falls. "With a new facility, not only is it possible to increase occupancy rates but the average [room] rates, as well," the report said. The state issued a request for proposals that attracted five companies to tour Fall Creek Falls last month. The request highlighted how the average room rate could rise from $76 to $151 per night at a new, privately managed Fall Creek Falls Inn and Conference Center that would be finished by 2020. 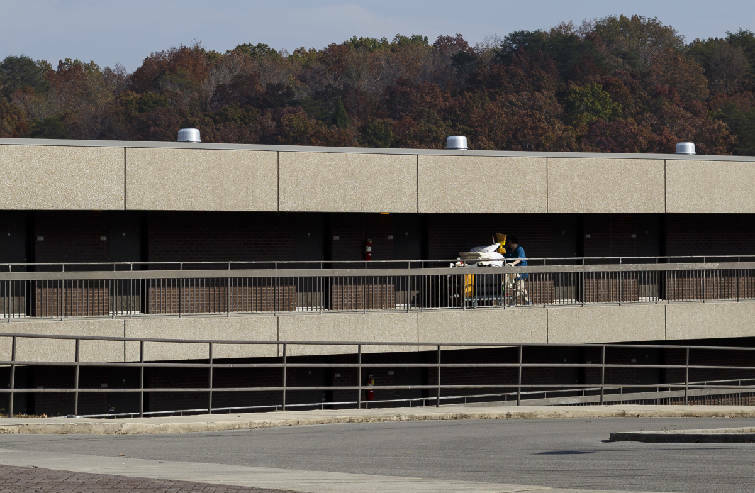 TDEC Deputy Commissioner Brock Hill said in December the state plans to identify its top proposal in late March or early April and that demolition of the 44-year-old building could begin by next December. State officials contest the privatization effort is meant to ensure the viability of the park for future generations by bringing in a company that will pay the state a portion of its revenue and be required to have a maintenance budget. TDEC commissioner Bob Martineau explained the state's position on the issue in a Knoxville News Sentinel guest column this month citing Fall Creek Falls and writing that the pursuit of a concession agreement there is "a way to keep our parks viable for our children and grandchildren to enjoy." "I am proud of our administration's acknowledgment and action to include state parks as part of the rural economic development equation in Tennessee," Martineau wrote. "I am proud of our parks staff for doing a tremendous job of holding our facilities together when resources have been limited. "But most importantly, I am proud we are implementing a long-term strategy for enhancing and protecting our state parks instead of kicking the can down the road for future generations to address. The future of Tennessee's state parks is surely bright." Marshall County's Henry Horton State Park would receive $10.05 million under the proposed budget for the demolition of the inn, visitor center, and restaurant there. The money would also pay for the construction of a new visitor center and restaurant, but not another inn. Joe Liggett, the county mayor, said he is "pleased" that Henry Horton has been included, saying it is overdue. "My hope is that there will be another round of money to fix a lot of other things that need attention and perhaps consider more rooms being added," Liggett said. "One thing that Henry Horton has available is fiber cable that singles it out. The location and the fiber puts Henry Horton in a perfect position to host meetings from across the state. The park will flourish if given the tools and facilities to work with." An inn would remain part of Pickwick Landing State Park in Hardin County under the proposed budget. Nearly $12 million would be spent to renovate the current facility, which includes a conference center and restaurant. County Mayor Kevin Davis said he is "all for" the state spending money to improve the park's hospitality services. Like many of the state's other rural counties, he said Hardin County relies heavily on tourism. Davis also recalled many people in his community having a strong opinion on privatization when the possibility was discussed in 2015. "It was a hot topic," he said.